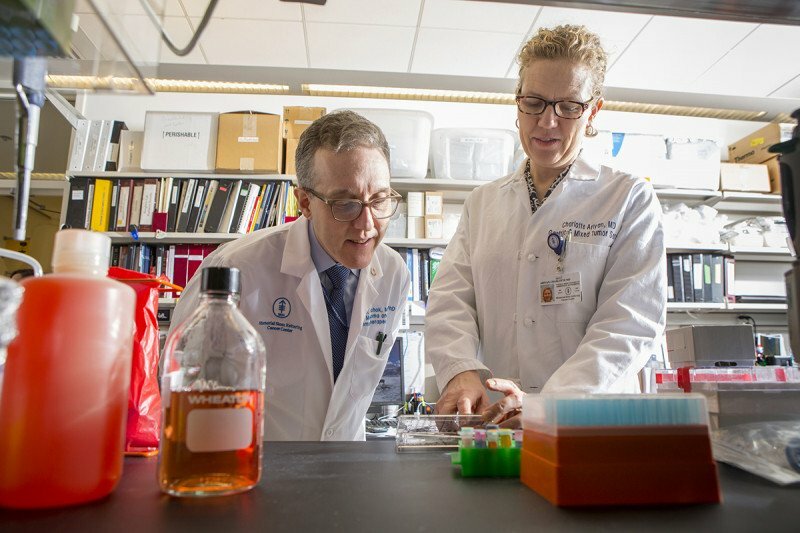 Physician-scientists Jedd Wolchok and Charlotte Ariyan are developing melanoma treatments combining immunotherapy and chemotherapy. MSK investigators are reporting on a new approach for treating melanoma in the arm or leg. The therapy combines the immunotherapy drug ipilimumab with chemotherapy for only the affected limb. For some people with cancer, drugs that help the immune system recognize and attack tumor cells have been a game changer. But for most, the outcomes from these immunotherapies are not effective, and other treatments are required. Now a collaborative group of melanoma experts is testing a novel combination therapy for certain people with that aggressive form of skin cancer. They have combined immunotherapy drugs with chemotherapy that treats only the area affected by cancer. The results of lab research, as well as the first-ever clinical trial to explore this particular approach, are being reported in the journal Cancer Immunology Research. The approach combines the relatively new immunotherapy drug ipilimumab (Yervoy®) with a treatment that’s been around much longer, called isolated limb infusion. Limb infusion is used as a therapy for in-transit melanoma, which means the cancer has spread throughout an arm or leg. People with this form of the disease can have dozens of small tumors, making it difficult to treat them all with surgery or radiation. The infusion treatment is given by putting a very high dose of chemotherapy directly into the affected arm or leg. A tourniquet prevents the medication from going into the rest of the body. Immunotherapy has had great successes, but we're looking for ways to make it effective for more people. But limb infusion often doesn’t have long-lasting results. Most of those who respond see their disease come back within a year. This is where the immunotherapy comes in. 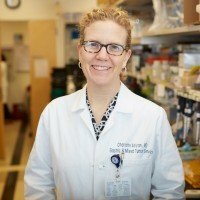 In research conducted in the lab, Dr. Ariyan and her colleagues, including Sloan Kettering Institute Immunology Program Chair and Director of the Ludwig Center for Cancer Immunotherapy (LCCI) Alexander Rudensky, found that when mice were given chemotherapy before ipilimumab, the responses to the immunotherapy were much better. In the mice, the researchers found that combining the treatments resulted in an increase in the number of immune cells that were able to get into the tumor. This ultimately led to improved survival in the animals. Meet three people who were treated as part of a clinical trial for melanoma at Memorial Sloan Kettering. The discoveries made in mice led to the idea to test this treatment in people. Money from Cycle for Survival — MSK’s indoor team-cycling fundraiser, which supports research on rare cancers — as well as from other foundations helped move the research into a clinical trial. The phase II trial included 26 people who had advanced melanoma in an arm or leg. Participants were given limb infusion with chemotherapy followed by ipilimumab. After three months, 85% had their tumors shrink as a result of the treatment. Of those who responded, more than half had a complete response, meaning that their tumors disappeared. Today, 58% of them remain disease free, even after they stopped receiving ipilimumab. Funding from Cycle for Survival, MSK’s indoor team-cycling fundraiser, helped bring this research to people. Dr. Ariyan says that the team will continue to explore this approach in people with in-transit melanoma who are not responding to immunotherapy alone. In addition, they are considering it to treat other types of cancer, such as sarcoma, which frequently occurs in the muscles, bones, and connective tissues in the arms or legs and usually doesn’t respond to immunotherapy. 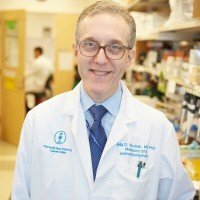 One of the senior authors of the study is MSK physician-scientist Jedd Wolchok, who led the clinical trials that resulted in ipilimumab’s approval. The other is James Allison, a former MSK immunologist who is now at MD Anderson Cancer Center. Dr. Allison was the first to discover ipilimumab and its mechanism of action. In addition to Cycle for Survival, this research was funded by the Ellen and Gary Davis Foundation, a Society of Surgical Oncology Clinical Investigator Award, the National Institutes of Health (grant P30 CA008748), the Ludwig Center for Cancer Immunotherapy at MSK, and Hilton-Ludwig Cancer Prevention Initiative Funding by the Conrad N. Hilton Foundation and Ludwig Cancer Research. This study was also funded by a research grant from Bristol-Myers Squibb, which makes ipilimumab. I developed a tumor in my lower spine which pinched off the cyatic nerve for both legs. While i am slowly getting feeling back, i am only at 10-15% of before tumor, basically paralized from hips down. I am also taking 2 chemo drugs & an infusion. Have you tried this with tumors in that area? Dear Sharan, we’re sorry to hear you’re going through this. The treatment described in this story only works on tumors in the arm or leg, but there may be other combination therapies that you could benefit from. If you would like to come to MSK for a consultation, you can call 800-525-2225 or go to https://www.mskcc.org/experience/become-patient/appointment for more information. Thank you for your comment, and best wishes to you. Dear Virender, we’re sorry to hear about your mother’s diagnosis. 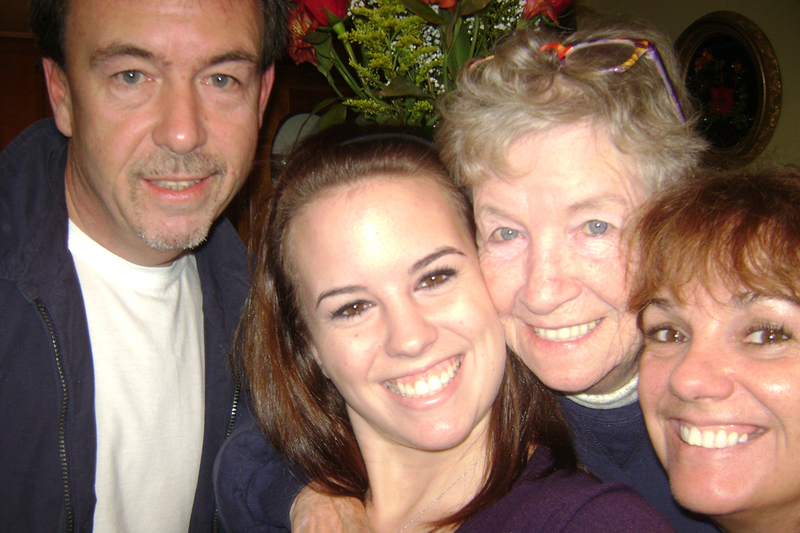 We recommend that you discuss treatment with your mother’s care team. If she would like to come to MSK for a consultation, the number to call is 800-525-2225. You can go to https://www.mskcc.org/experience/become-patient/appointment for more information on making an appointment. Thank you for your comment and best wishes to you. A family member was found to have a growth on the bottom corner if their lung. They had the growth and surrounding area of the lung removed. When the cells were investigated 2 pathologists diagnosed lung cancer but the Sloan Kettering diagnosis was Splindle Cell Melanoma. Now they have requested a nuclear PET scan and a dermotologist exam. They are discussing Immunatherapy treatments. They have stated this is a rare type of melanoma but haven’t provided any expert on the cancer or treatment. Can you explain the type, why immunotherapy and is there an expert in this type of Cancer who is doing studies at MSK or another center? Dear Meg, we’re very sorry to hear about your family member’s diagnosis. MSK has experts in treating all types of melanoma. Immunotherapy is often, but not always, the recommended treatment for melanoma, depending on the characteristics of the tumor. If your relative would like to come to MSK for a consultation, the number to call is 800-525-2225. You can go to https://www.mskcc.org/experience/become-patient/appointment for more information on making an appointment. Thank you for your comment, and best wishes to you.